Federal Signal’s Model 50GCB SelecTone® Amplified Speaker is designed to produce crisp, clear tones, digital voice messages and live public address. 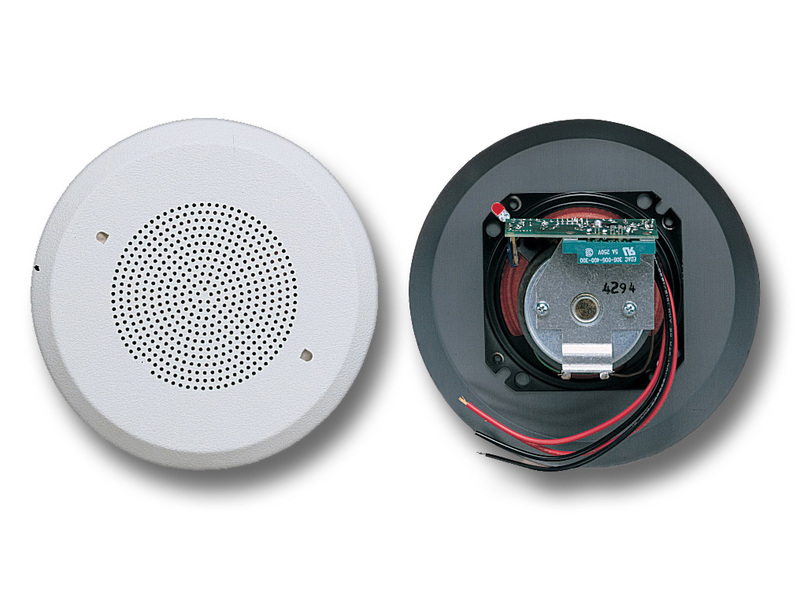 Designed to mount in ceilings, the 50GCB features a seven-inch white grille over a 4" speaker amplifier. For plant-wide signaling, a Connector Kit is installed into each SelecTone Amplified Speaker and wired to a central controller, a SelecTone Command Unit or a CommCenter® Digital Message Center. SelecTone Command Units and CommCenter Digital Message Centers can broadcast tones, voice messages, melodies and live public address to an unlimited number of SelecTone Amplified Speakers. The 50GCB is designed for areas without high ambient noise levels, such as offices, hallways and receptions areas. The baffle allows the four-inch speaker to be installed easily in any suspended ceiling plenum with a Model R4NB backbox. The white grill of the 50GCB is attractive in most decors. Emergency signaling or paging are common applications for SelecTone.